More often than not it’s not greener. I remember teaching at a university and thought that it would be great to teach at an international school. When I got a job offer from an international school, I jumped at it. A couple months later I realised even though it was an IBO school, it wasn’t that good. Lots of office politics and hoops to jump through to do the simplest things, like getting copies had to be approved by two different people and took at least a day to get. Not to mention the pressure from the parents and admin. Moving country can often have its issues as well. You might think another country will be great. And often it is, for a bit. Then you start to run into the same problems you had before. No job or country is perfect. Although I’m a pessimisstic person by nature, I try to see the positive side of the job and country that I’m in at the moment. There’s often a trade-off involved. Maybe you don’t make heaps of money, but you have great a great teaching schedule, light load and great vacation. Or maybe you’re making hand over fist but working a ton of hours. 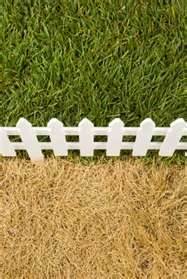 Remember that the while the grass may be greener on the other side of the fence all you have to do is water your lawn! Look for the positive rather than the negative and you’ll realise that the grass is often greener where you already are.